Two Dollar Radio, 9780976389590, 188pp. In the follow-up to her acclaimed debut, A Mouthful of Air, which drew comparisons from critics to The Bell Jar and The Awakening, Amy Koppelman delivers an unrestrained statement on the modern suburban woman. Laney Brooks acts out. Married with kids, she takes the drugs she wants, sleeps with the men she wants, and disappears when she wants. Lurking beneath Laney's composed surface is the impulse to follow in the footsteps of her father, to leave and topple her family's balance in the process. Amy Koppelman lives in New York City with her husband and two children. 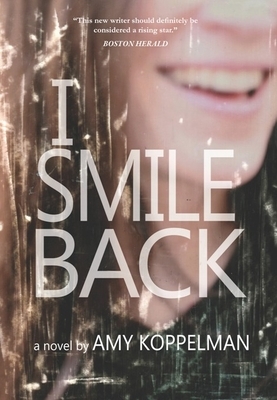 I Smile Back is her second novel.